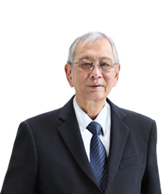 Mr. Thio Gim Hock has been the Chief Executive Officer/Group Managing Director since 6 November 2007. He was last re-appointed as a Director at the Annual General Meeting held on 21 April 2016. Mr. Thio has extensive experience in engineering, real estate (commercial and residential properties, hotels) property development and consultancy. He was an executive director of Lippo Realty (Singapore) Pte Limited from 2005 to 2007, the chief executive officer and director of Target Realty Limited from 2001 to 2003, an executive director for City Project Management/ Property Development at City Developments Ltd from 1999 to 2003, and an executive director of Hotel Properties Limited from 1988 to 1999. Mr. Thio holds a Bachelor of Engineering (Civil) from the University of Malaya, Malaysia and attended graduate school at the Massachusetts Institute of Technology, United States of America.